SOPHIA and the robotic panel handling systems will be in the spotlight at the Biesse stand at Xylexpo, the 26th biennial global trade fair for technologies for machining wood and furniture industry components, set to take place in Milan from 8 to 12 May 2018. Today, SOPHIA, the Biesse service platform, is a real tool which provides users with an efficient working method, enabling them to tackle everyday challenges, prevent future issues and improve their standards. 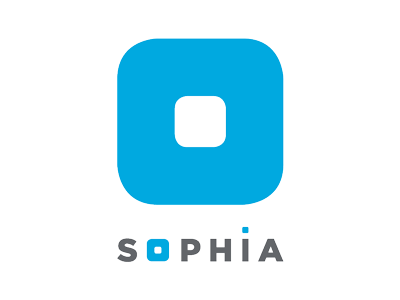 The speed with which SOPHIA is being adopted in the production sector is a strong indicator of the significant benefits that customers are enjoying first hand. The rapid evolution of the platform and the constant expansion of the functionalities it offers in a short space of time, coupled with the clear investment planned for the next few years, demonstrate Biesse's awareness of the current and future potential of SOPHIA, and its desire to offer customers a production method that can optimise both processes and economic activities in real time, reducing the consumption of all types of resources. The platform is based on the ability to send real-time information and data on the technologies in use, optimising the performance and productivity of machines and systems. The data collected enables the production process and machine functions to be analysed in detail, detecting malfunctions, assisting customers in maintenance operations, ordering replacement parts in less time and ultimately preventing faults. Visitors to Xylexpo will be able to take a closer look at how SOPHIA revolutionises production and simplifies the work of companies every day. But that's not all. The Biesse stand will also provide all those present with a demonstration of the company's ability to transform production processes, courtesy of the high performance handling solutions it offers. 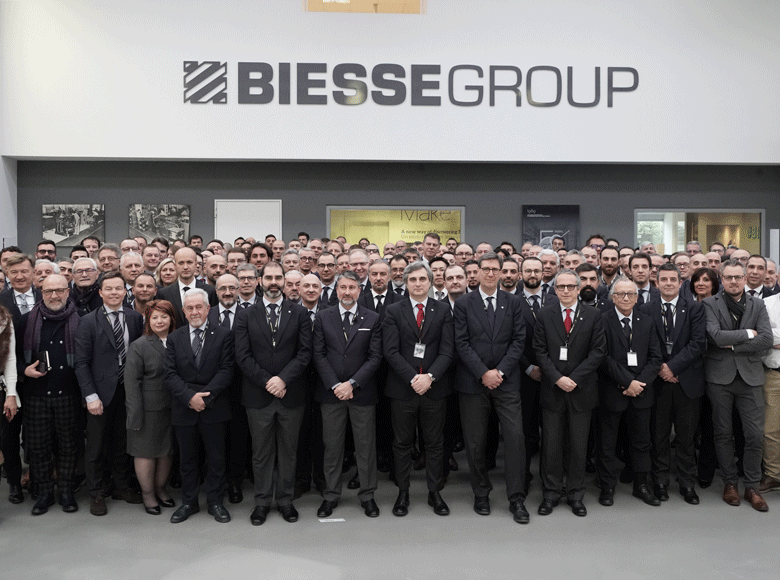 The established success of Biesse in the design and production of systems and solutions is confirmed by the fact that the company has achieved the revenue objectives set out in the three-year plan a year ahead of schedule, with more than 100 projects competed in a single year. 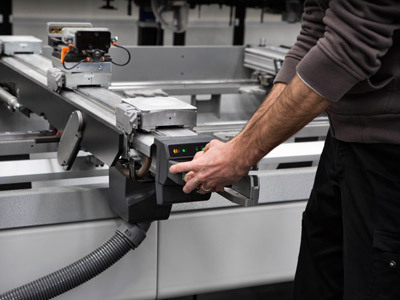 But the spirit of innovation that characterises Biesse does not stop here, taking a huge leap forward in the evolution of the robotic panel handling systems. 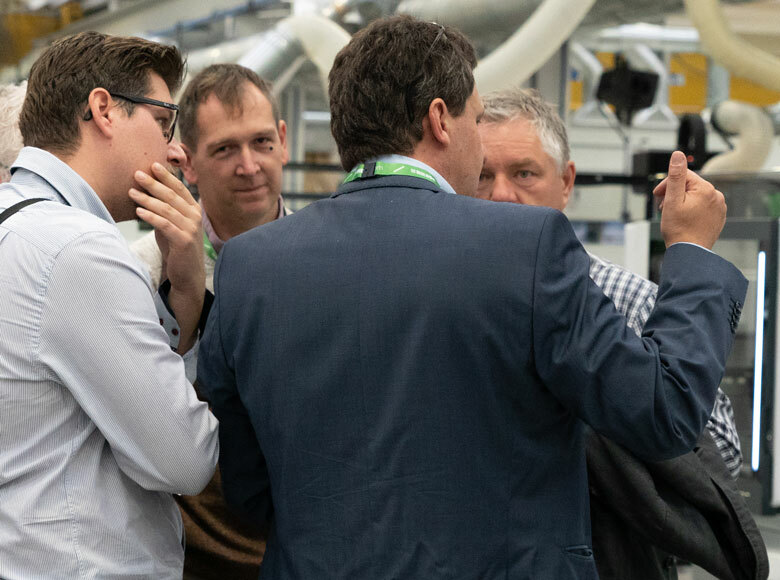 At Xylexpo, 3 different integrated processes with 4 robots will be on display, offering unrivalled levels of system customisation and flexibility, two key requirements in the world of production today. A total of 30 functioning machines will be exhibited within the 3500 square metres occupied by the Biesse stand, where visitors to Xylexpo will also be able to take a closer look at the technologies that interest them, with the help of highly specialised technical staff. 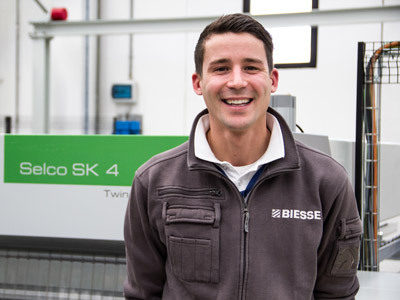 "Biesse's ability to create digital, automated and interconnected factories has become a reality. 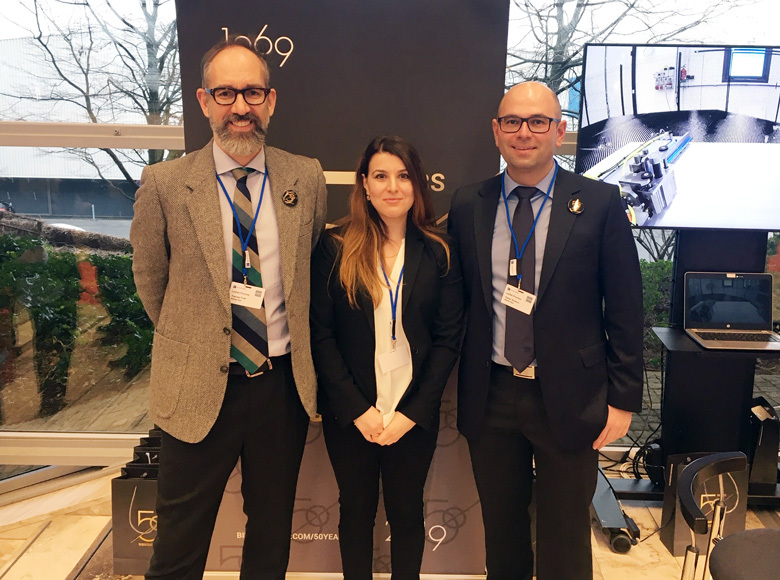 We are attending Xylexpo with the desire to communicate the results of our investments to the entire manufacturing sector, demonstrating the concrete advantages that our customers enjoy every day", declares Raphaël Prati, Director of Marketing and Communications for Biesse Group. "We stand by the side of our customers during every phase of their daily work, disseminating the culture of the digital and automated factory across the world of manufacturing and explaining which levers can lead to extensive margins for growth, whilst providing excellent opportunities to enhance their businesses. This is why we plan to attend several key events throughout the year, to raise awareness of the opportunities we offer our customers. The first of these is the internal 2018 Back to Business event, which will take place at the Pesaro HQ from 25 to 27 January", confirms Federico Broccoli, Biesse Wood Division Director/Sales - Subsidiaries Division Director. 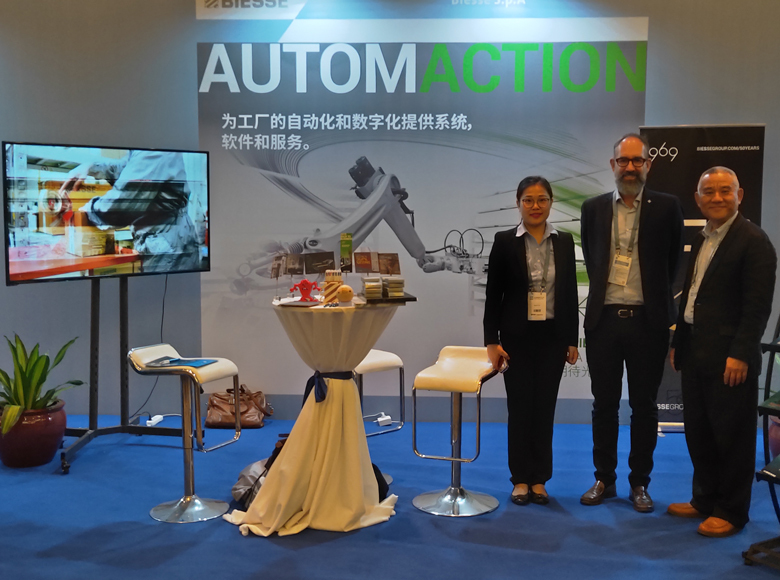 Biesse at stand 1 at Xylexpo 2018: live the experience and be part of the evolution of the fourth industrial revolution. 6000 Quadratmeter mit Innovationen rund um die Roboterisierung und die technologische Digitalisierung: mit diesem Statement präsentiert Biesse auf der Ligna die Zukunft von Industrie 4.0. Die zweite Ausgabe der "Dealer Days" fand am Montag, den 4. und Dienstag, den 5. Februar statt, zwei Tage mit ausführlichen Informationen und Erfahrungsberichten für unsere Händler, die aus aller Welt zum Pesaro Campus anreisten. 6000 Quadratmeter voller Industrie-4.0-Lösungen auf dem Ligna-Messestand von Biesse in 2019. Roboter und eine Reihe von Lösungen für das Plattenhandling, Software, Internet der Dinge, digitale Dienstleistungen und die besten Technologien für die Holzbearbeitung auf dem Markt.